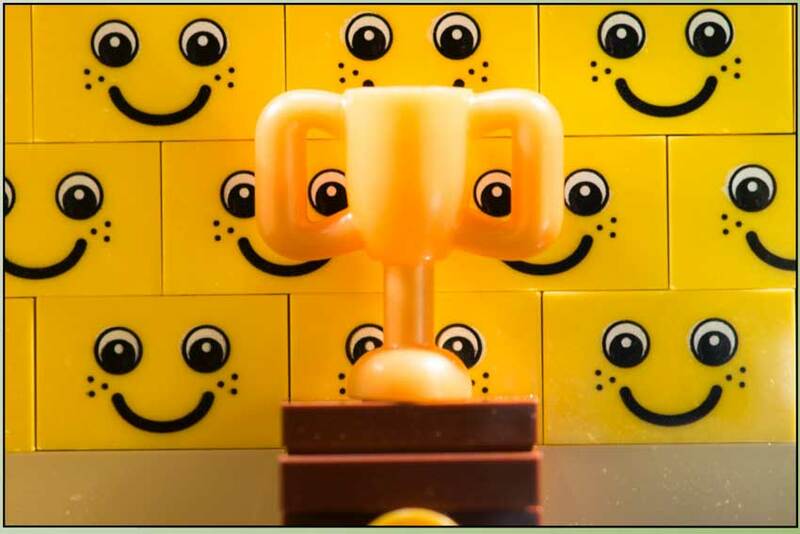 Your Lego comic will consist of one or more scenes. Of course, these scenes need to build. And the actual building blocks of scenes are the so called camera shots. 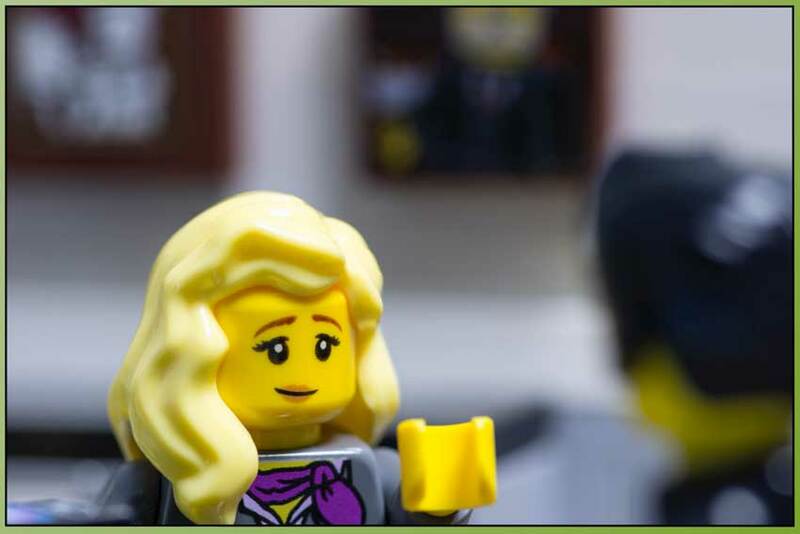 In this post I will discuss the basics of camera shots in the context of Lego comics. Camera shots are camera positions related to how much of the subject and its surrounding area is visible in a panel. Not be confused with camera angles. Camera angles provide the shots at different angles. I discuss camera angles in separate post. Choosing your shots and angles carefully will help you convey information about the story you are telling. Like, where you characters are, who is present, how everybody is positioned related to each other, if there is anything going on besides the main action, any emotions that need extra attention, etc. 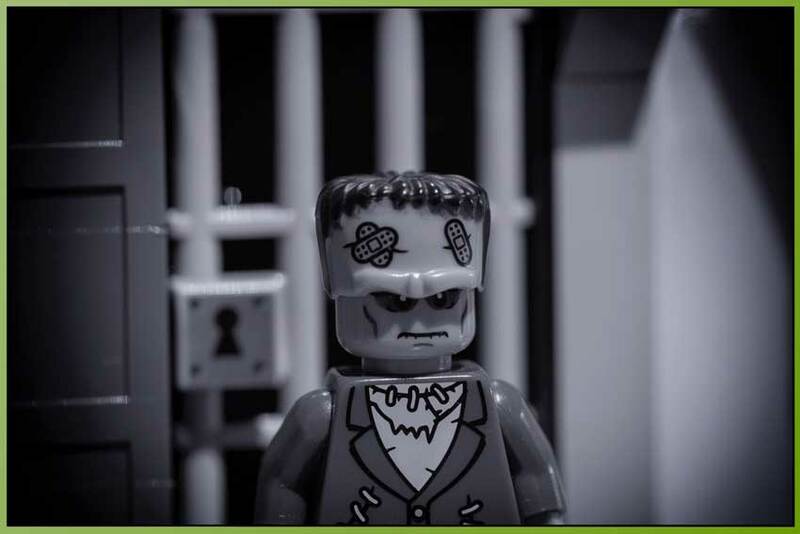 An example of conveying information is combining a full-shot (see below) with a shallow depth of field (remember your aperture settings!) focussed on a specific character or purpose, can tell your readers who is present in this scene whilst also directing the readers to the person or element you’d like them to focus upon. Besides these functions you can also alternate camera shots to make your comic visually more attractive. 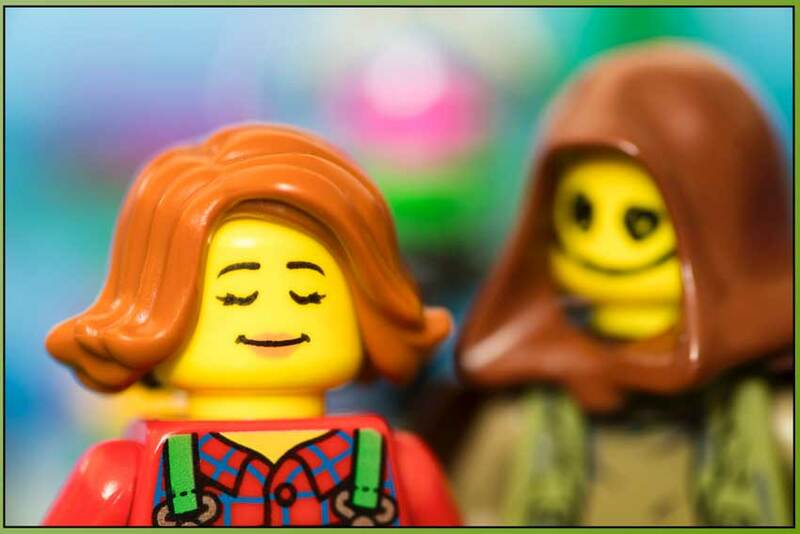 Some Lego comics out there have very static panels which, in my opinion, make comics visually less engaging. 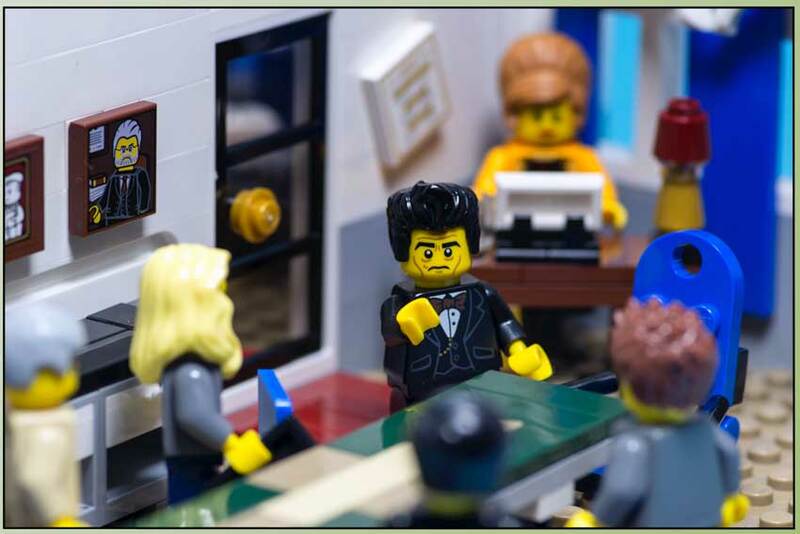 Anyway, you’ll want to try to keep the readers of your Lego comic engaged in multiple ways so choose your shots carefully. In general, there are two types of camera shots; framing shots & function shots. Framing is defined by how much is included in the shot; function about what the purpose of the shot is. First; any shot that includes only one character is called a single. Furthermore, a shot with two character included is called a two shot, one of the most essential shots of storytelling. If the shots are focused on characters; there are usually called character-shots. 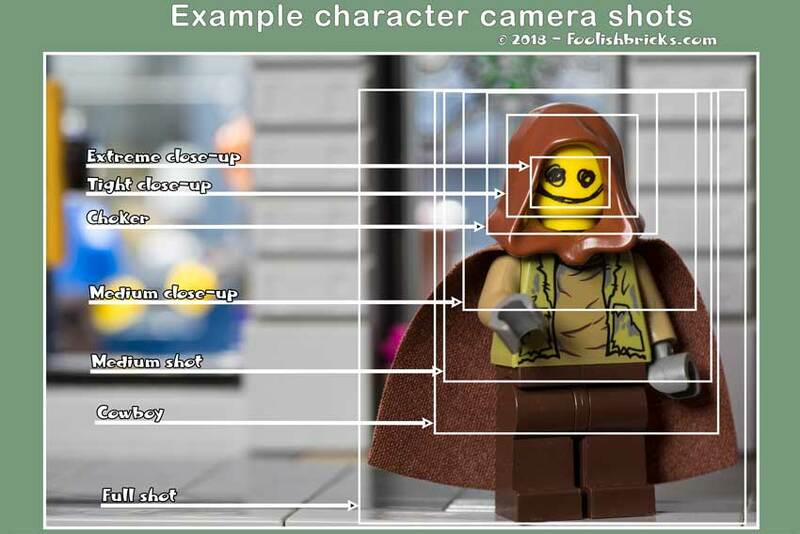 Figure 1 shows examples of several character shots. Below, I listed a few of the more well know camera shots. However, the naming and definitions of all these shots might vary somewhat. Extreme long shot, shows the general area of the current setting. For these shots you would have to build a large stage. This shot all about scenery and gives your readers some idea of the geography your scene takes place in. I haven’t used these shot in my comic yet, simply because it is too much work to build such a large stage. However, I might use it in future using micro builds of a city or forest for example. Figure 3; Example of extreme long shot. Establishing shot, showing the geography, general mood and more (ch 2 ep 1). Long shot, (wide shot); still is about scenery, more specifically showing where the action in the scene takes place. This time however, there (mostly) are characters present in the shot. Full shot; a complete view of a character. There may also be more than one character in this shot, showing what the relationship between characters is. Cowboy (American shot); a variation of the full shot, where the character is in view from the wast up. This comes from the western genre to show the gun-holster on the characters. Medium shot (social shot); the character(s) from the waist up. For example characters at a table or behind a counter/ bar. This shot brings your readers closer to the characters and into the action. Medium close-up: mid-torso and up. In my comic, this is the tightest shot I used up until now. The tighter close-ups did not seem to bring me any extra. Choker: from the throat up. Tight close-up (big head): just below the head, cutting of part of the hair. Extreme close up (Italian shot): even less of the head is visible in the frame. You can also use this for objects; for example only a knife, or part of the character. Figure 8; Example of an object close-up (ch 2 ep 18). 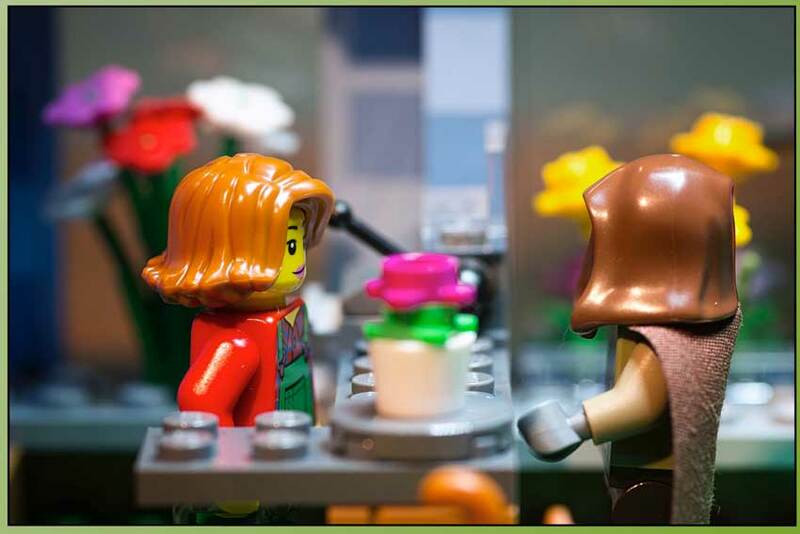 Over the shoulder: a shot where we are looking over the shoulder (close-up) of one character to another character/ object (medium shot or close-up). It ties two characters or a character and an object together. Establishing shot; A shot that shows the readers of your comic where the action is taking place. Besides giving the readers a ‘where’, it can convey much more information; what’s the weather, is it a busy, hectic place or the opposite, are we in a rich environment, is there a lot of police in the street and much more. The possibilities are endless. Usually an extreme long shot or long shot is used. Reaction shot; shows the reaction of a character to some kind of event or text. Usually a medium shot or close-up is used. Insert; a part of the larger scene that gives your readers extra information about what is going on. For example a clock showing time or a name on a name tag. Usually a close-up is used. Transitional shot; A shot between scenes that is not a part of either scene. This can help for atmosphere or give some information. For example a sunset or sunrise, or a busy street indicating that the workday has begon. If you’d like to get all the shots straight out the camera you will need a macro-lens, certainly for the medium shots and close-ups. Alternatively you can photography your scenes as full shots or bigger and crop the images in an image-editor (for example: Photoshop or GIMP). If you edit afterwards, use the highest quality images you can shoot with your camera to prevent having too much noise in your images after cropping. For the really tight shots, you might need a combination. I use a f/100 Pentax macro for most of my comic photography and should I need anything tighter than a medium close-up, I’d probably need to crop in post-processing after getting in as close as I could with my lens. Thos Lego minifigures are really small after all. When I started my comic I had no idea of camera shots. I only varied shots to make the panels look different from each other so the comic looked better. Over the years I started thinking about my panels and the shots more and more. I have to admit, it makes shooting the comic more amusing, thinking about how you want to shoot the frame to use as a panel, how to get information across. Yet, I still have a long way to go, especially because Lego is a very different medium than the more classical comics out there and I have to figure out how to use these camera shots in Lego. 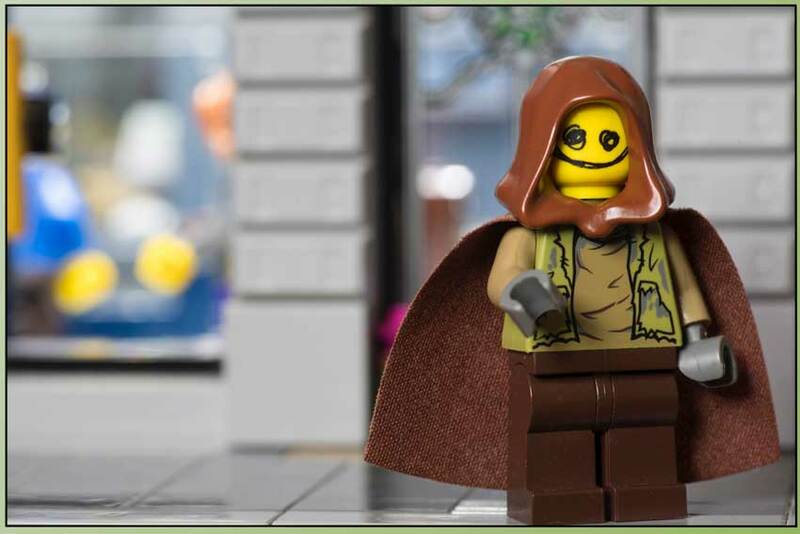 Are you a Lego comic creator? Do you ever consciously use camera shots?